If you're shopping for new insurance, you've found the right place! Direct Insurance Services is a local Salt Lake City insurance agency specializing in Auto, Homeowners and Business Insurance for Utah families and businesses. As an independent agency, we represent many different insurance companies, which allows us shop your insurance needs with multiple insurance companies, including Bear River Insurance. This can often mean savings for you! Start your Bear River auto quote now! Our office is located in the Cottonwood Heights area of Salt Lake City, but we service customers throughout the state of Utah. You'll be satisfied that you are served by one of our dedicated agents, providing you with answers and working to serve your individual insurance needs. We maintain that customer service and customer satisfaction are most important. Our company strives to be a leader in personalized service. We'll work hard to earn your business, and continue to provide you with unmatched service as a valued, long-term client. We offer a wide variety of Personal Insurance programs to our clients in Utah including Car, Home, Motorcycle, Boat & Watercraft, and Flood Insurance. 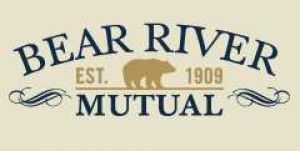 We are proud to represent Bear River Mutual, a Utah based mutual insurer that offers an auto insurance program specifically for non-drinkers. We also represent other quality personal insurance companies including Allied, Safeco, Badger Mutual, Germantown, Travelers, Progressive, Kemper and others. Tickets, accidents, DUI? No prior insurance? No problem! We have several insurance programs to help drivers with less than perfect driving records. SR-22 filings? No problem! Looking for a low downpayment? Talk to one of our experienced agents today. We have many programs that allows one month downpayments and low month-to-month payments. We offer many different insurance options for your Business Insurance. We have business insurance plans for companies large and small. We can tailor an insurance program to meet your needs. Call us to discuss coverages such as General Liability, Businessowners (BOP), Business Auto, Commercial Property, Workers Compensation and more. Call us today at 801-255-7300 or complete one of our quick online quote forms - we would love the opportunity to try and earn you as a valued customer!.